Lodhi Art District - Beautifying Urban Living Spaces - Noida Diary - Rediscover Noida With Us! A little birdie had earlier tipped us off about some goings-on in Lodhi colony area. On our visit to Lodhi gardens in the capital we took a detour to the Meherchand market. As we landed a huge mural adorning the facade of a house bang opposite the market caught our eye.This was the Lodhi Art District the little birdie was talking about. The spectacular abstract painting nudged me to explore the Lodhi colony area further. A walk around Lodhi Art District, which is snuggled between the Meherchand market and Khanna market,presented a place in the process of huge transformation. The Art District is a culmination of mesmerizing efforts by over 25 street artists from India as well as around the world. These artists have created masterpieces to give Lodhi Colony area a makeover since December 2015. Lodhi Art District is in fact a huge open air art gallery of contemporary art accessible to one and all. The vibrant colors and larger-than-life paintings made us awestruck. The paintings showcased various art forms ranging from Indian Tribal Gond Art, Shekhawati paintings (miniature art) to international drawing and art techniques. Some murals had elements of capital city and its people while others were inspired by issues related to gender, environment et al. The artists have left their indelible mark on city and our hearts with such beautiful creations. The most striking mural was the ‘hand in tricolor’ in Block-4 of Lodhi Colony facing the Meherchand market. We later found out it is done by a French artist – Chifumi. He has depicted the Padma Mudra – a symbolic Indian hand gesture with some Khmer patterns from Combodia. An initiative by Urban Development Ministry in partnership with St+Art foundation Lodhi Art District seeks to raise awareness on cleanliness as part of the Swachch Bharat mission spearheaded by the Hon’ble Prime Minister Narendra Modi. 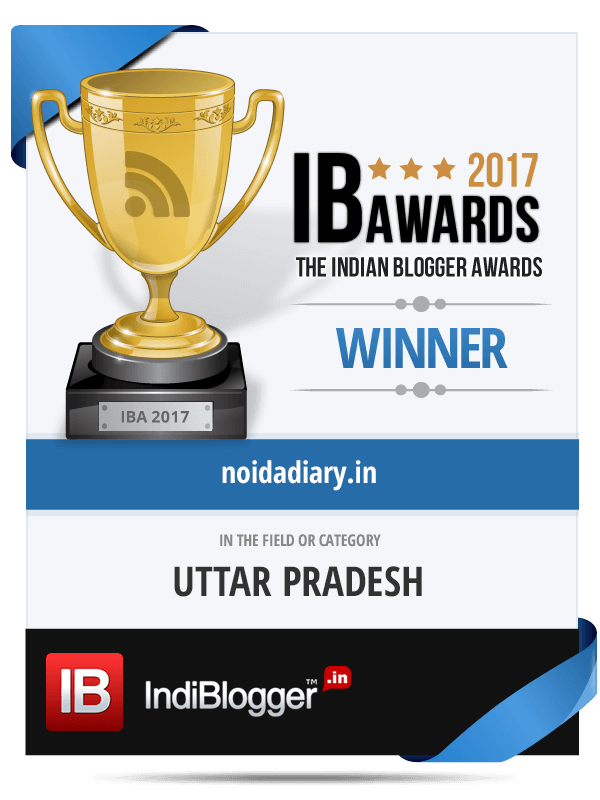 As city dwellers with an academic interest in everything urban – structures, philosophy and life in general – we at Noida Diary track and appreciate issues and projects that contribute towards improving quality of life in the city. Lodhi Art District, India’s first public art district, is a benchmark for rest of India. This will promote clean cities and Street Art form which is relatively new in India. Lodhi Art District has certainly raised the bar in developing and improving cityscapes with street art. The Public Art District paradigm should be replicated across India. Hope our urbanists are listening! Meanwhile, have a dekko at the other spectacular work of street artists captured at Lodhi Art District, Lodhi Colony, New Delhi. Lodhi Art District is located in the Lodhi Colony between Meherchand market and Khanna Market. Nearest Metro Station is Jor Bagh or INA Market. You can take an auto rickshaw from there. Buses also ply on this route. To reach here by car/taxi refer to the map below. This article is part of our series on Places around Noida and topics related to urban living. For more such stories and information on Noida, do hit the “Subscribe” button. I sincerely wish and hope the efforts bear fruit and the city (even others across India) becomes cleaner and livable. Btw, I liked that tiger in gond art form ? It seems like a great endeavor. Fabulous murals. Thanks for sharing Bushra. I would love to visit such a place, great work of paintings. thanks for sharing. Woah! Such beautiful pieces of art! The artists have done such a wonderful job! Need to visit it soon! I am so happy that I live in this neighborhood!!! it's such a pleasure walking around the neighborhood spotting such beautiful works of art everyday!!! Beautiful pics Bushra! I haven't managed to visit the new art works yet, sadly. Great initiatives and love the gorgeous art on the walls..
Street Art, the concept is new in India. But it will definitely promote art and a clean street. Nice work done. Though I visit that part of Delhi frequently but was unaware of this art work. I was born and brought up in Lodhi Colony Block N:8 and attached to this colony very much. I am in my 60's and live in Bengaluru now. I just browsed through the beautiful arts in my much cherished colony and became nostalgic but happy. Certainly, you should visit this place while driving to Lodhi Colony area and witness the way Delhi is mobilised for cleaner city initiative. You are one lucky person to live in this neighbourhood, dear. I had loved the Lodhi's Tomb as well….and this Art Work was like I felt transported to a different country. ..beautiful indeed! Thanks, Anjali! The art work is beautiful there at the Lodhi Art District. Indeed a great initiative with beautiful street art. Thank you, Rajeev for stopping by to drop a word. Appreciate this! Wow.Wonderful concept and Beautiful street Art.